What are the Stages of a Personal Injury Lawsuit? Personal injury suits are not as simple as talking to an attorney and receiving the money you ask for in compensation for your injuries. Personal injury lawsuits are a multi-stage process, and claimants shouldn’t skip one if they want to maximize their chances of winning. And personal injury cases can drag for months, even years in some instances, which can be taxing on the victim. That’s why it’s important that you’re thoroughly informed about the process. So, what are the stages of a personal injury lawsuit exactly? And what happens at each step of this process? When you think you’ve suffered a personal injury, the first step is seeking appropriate medical attention. The first reason to do this is that it ensures that your injuries are properly treated. The second reason to do this is to create documentation regarding the severity of the injury by an independent, expert third party. If you wait a long time to see a doctor, a jury could decide you weren’t really that hurt or the other party could blame the injury on anything that happened between when you were hurt and when you filed the claim. It’s also very important that you follow through with any recommendations your doctor may give you and come for all appointments. Failure to do so could also have a consequence on your case. Unless you have a minor personal injury claim, you need to find a qualified personal injury attorney. These cases include; any injury so bad you missed several days of work; when you have spent more than a thousand dollars on medical bills; and injuries that occurred in conjunction with a car wreck, assault, or any other type of serious accident for which a third party was responsible. Personal injury experts like welchlawfirm.com will be able to handle larger claims and more complex cases. Only work with a team with significant expertise in the field who also have a history of getting results. These kinds of lawyers have worked on thousands of claims before and understand the types of tricks insurance companies use when trying to avoid compensation. They also know how to negotiate so you’ll get the compensation you deserve. Your attorney will investigate the claim. This includes interviewing you, reviewing your medical records, and gathering any related documentation like police reports. The attorney may ask you to have further medical tests done or visit another doctor for a second opinion about your injuries. The best lawyers will not file the claim until you’ve reached the point of maximum medical improvement, or MMI, though they can seek reimbursement for long-term care or future expected medical bills. Your personal injury attorney will collect copies of your bills and add up the total compensation you should receive for your injuries. In some cases, they may tell you that you don’t have a case. In other cases, they may help you fight with the medical insurance company or auto insurance company for full reimbursement. When the lawyer has the appropriate documentation, it is possible that the other side will settle simply because they’ve received the demand for compensation. Where necessary, the personal injury attorney helps you sue the responsible party for your personal injuries. Other things they might do is get information from your car’s black box, for instance, to build evidence for your case. The black box could give them crucial information on things like the state of your vehicle before the crash or road conditions. They might also try to get their hands on any surveillance material before it gets destroyed. In addition to this, they may also try to talk to key witnesses to get their version of the event and statements. Not every personal injury case will result in a lawsuit. When a lawsuit is filed, the next step is waiting for the case to go to trial. This could take a year or two, depending on the jurisdiction. Know that the statute of limitations applies to when you can file such a lawsuit, but not the time spent waiting to settle or win in court. This is why you should consult with an attorney as soon as you think you’ve suffered a personal injury. Wait too long, and you will lose by default. During this time, the discovery process occurs. Each side sends questions and requests for documentation to each other. They may take depositions from witnesses. This process can take anywhere from six months to a year. It is possible for the case to be settled during this time, before it goes to court. During mediation, a mediator, which is often a former or sitting judge, will try to find a way for both parties to settle and avoid trial. This is just an informal proceeding where both parties try to find an agreement. Please note that everything that happens during that stage could have effects on a trial should it happen, so make sure that you have someone with the proper training and experience in this area by your side. If the claim couldn’t be settled or resolved in mediation, then the case will go to trial. The personal injury trial could last a day or it could take months. The jury or judge will determine fault and possibly award damages. You need to have an experienced attorney with a track record of winning cases to have a good chance of winning when your case goes to trial. The losing party can appeal the ruling. The appellate process is different from the trial process, but the need for qualified legal counsel remains the same. Every personal injury case is different. However, the process that personal injury cases go through is the same. 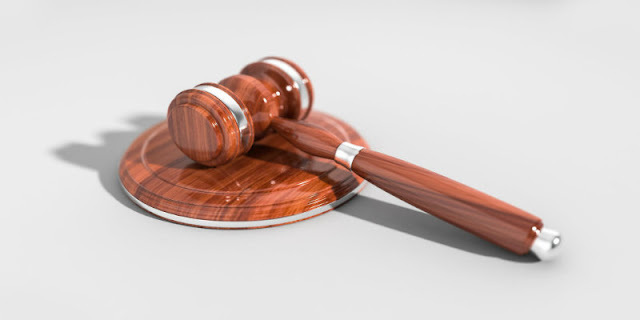 Make sure that you get familiar with the stages of a personal injury case so you’ll know what to expect and understand each part and its importance in the process.